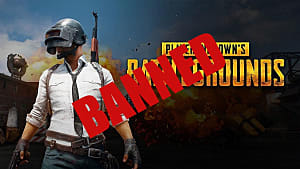 When EA announces a new game nowadays, most people wonder what they can possibly do to screw it up worse than the last game. Somehow, someway, the company seems to always do the opposite of what fans want. That's certainly the impression their recent work with the Star Wars franchise gives, at least. Star Wars Battlefront 2 was one of 2017's most anticipated games, but it quickly turned into a cesspit of anger, bad business decisions, and eventual retractions that overshadowed the gameplay itself. 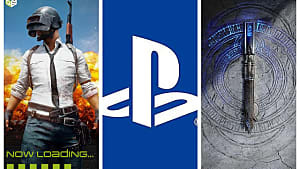 That's why some fans were very skeptical and other very cautiously optimistic about EA working with Respawn Entertainment, of Apex Legends fame, on the next big Star Wars game, Star Wars Jedi: Fallen Order. 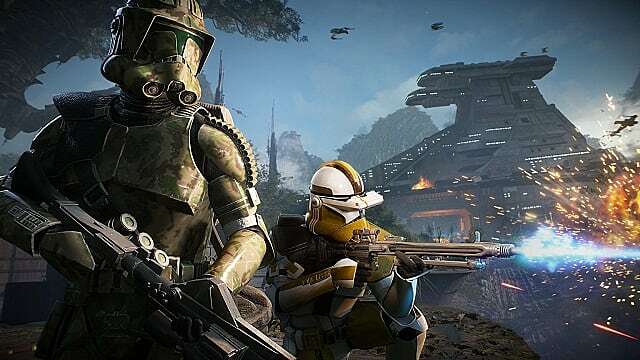 After a long wait, fans finally got to see the first details of the game and hear a bit about the development process — and whether EA was going to ruin yet another potentially great game. 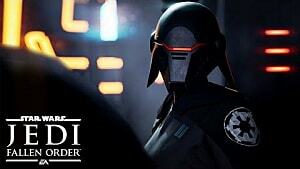 All early signs suggest those fears are groundless, because Fallen Order looks like it's going to be not just a good game, but a fantastic entry in the Star Wars franchise. Respawn and EA seem to have created a Star Wars game based around what the fans want. 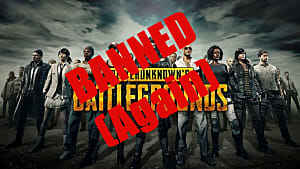 There are the obvious factors pointing to that, such as making it single player and excluding microtransactions. 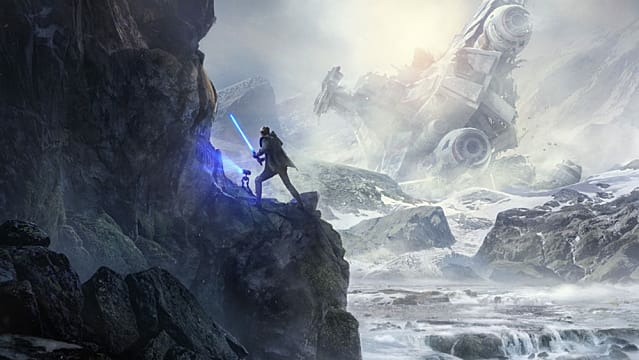 However, choosing the Dark Times is the best indicator that the team had fans in mind when making Jedi: Fallen Order. The Star Wars Rebels series is immensely popular, partly because it covers the huge gap between Episode III and Episode IV, where so much happened, but fans can only speculate about how it happened. Rebels might go a long way in filling that gap, but its focus is still narrow and leaves fans, this writer included, craving more. Jedi: Fallen Order seems like it's designed to satisfy that craving, and while it might not be the same as an actual film (or three) covering the time, it's certainly the next best thing. 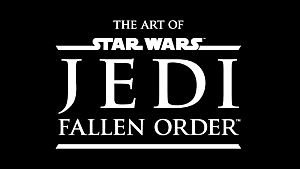 For one thing, Fallen Order explores the aftermath of Order 66. Apart from seeing the handful of scenes where Clone Troopers massacred the Jedi they were meant to protect in Revenge of the Sith, fans never really got to see what that entailed and how these all-powerful guardians could be taken down so easily. Then there's the empire-building itself. Establishing an empire on the back of a dead republic is a big job, and we're expected to believe that somehow or another, the Emperor managed to subjugate most of the galaxy in only the span of a generation. Fallen Order shows us how that happened and would appear to lay a larger foundation for the eventual Rebel Alliance in the process. All of this is done from the perspective of the hunted and hated Cal Kestis, and it's one of the things I'm most intrigued by. During the Star Wars Celebration Chicago panel discussion, the development team mentioned the game would dig into the conflict between the imperial propaganda painting Jedi out as traitors and the Jedi's original image as guardians of peace. That's important for a few different reasons. One is that it gives a good explanation for why the Jedi who did exist after the fall stayed hidden. I always thought that surely, Obi-Wan, Yoda, and the other Jedi who hid away in the galaxy could have taken on the Empire's minions and made a good match for Vader and Palpatine. Or on the other hand, the Sith, with the resources of a vast empire, could have found and eliminated them. But if half the galaxy thought the Jedi were evil, then it makes sense why they actually stayed hidden away and weren't much of a threat. Either way, Fallen Order aims to flesh that story out in the new Star Wars canon. The last big single-player Star Wars game we got was The Force Unleashed. It was based on an interesting premise, playing as Vader's hidden apprentice, but there were some issues. It distinctly felt like it wasn't meant to be anything more than alternate-universe pseudo fanservice. 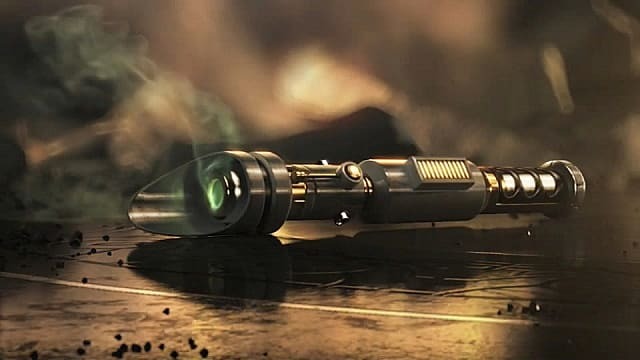 After all, it potentially let you kill Vader (obviously not canon), and most of its "wow" moments were sort of wink-wink, nudge-nudge references to what took place after Order 66 without really providing any lore-worthy meat. The lack of any real character interaction or major characters at all other than Starkiller didn't help either. In hindsight, it's like it was the influential foundation for Fallen Order. The gameplay reason for why Cal's perspective matters is even more interesting. The Force Unleashed let you loose as another of Vader's children to fulfill the dark lord's orders. However, there wasn't really any tension or anything compelling driving the action forward, short of the "I'm playing as the bad guy" rush that fades after a few stages. Fallen Order appears to be the exact opposite. Forcing Cal to be undercover for a chunk of the game emphasizes the narrative situation in a way that couldn't be done otherwise. It automatically invests the player in the character and his goals, to say nothing of the world itself. Because Cal is essentially alone and facing a huge struggle, it also means characters he interacts with will naturally be more important and endearing. BD1 already seems like the best Star Wars droid since R2-D2 and BB-8, and it looks like Cal's Jedi-not-master (Jedi friend?) — another strong person of color for the franchise, it should be noted — is going to play a very important role. Like most Star Wars stories, this one has definite coming-of-age vibes, only this time, the protagonist has to come to terms not only with who he is, but with what's happened to him in the past and how he and those who long for peace can work to build a brighter future. Ideally, the combat would mirror the story — starting off limited until Cal starts to embrace and learn his Jedi heritage. Speaking of fighting, you may be wondering why the narrative is getting so much attention here. There is a reason — apart from the fact that we know next to nothing about the combat. Melee might be Fallen Order's main component, true. 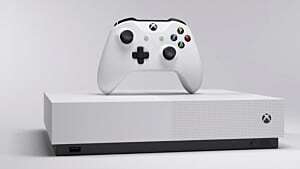 But a well-conceived and executed story would give the combat a point and help make the overall package stand out in players' minds for a long time to come. Hopefully, barring any unforeseen circumstances, that's what Fallen Order will do. But for everything EA's ever done "wrong" with a Star Wars game, the company has always had a decent understanding of what makes Star Wars combat feel good. At the very least, Fallen Order has the makings of a great game, thanks to the development team's impressive dedication. 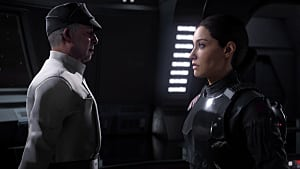 As Vince Zampella and co. discussed during the Celebration panel, the team approached almost every major decision from the viewpoint of wondering how Fallen Order would fit with the rest of the Star Wars universe and what it could contribute. For example, new planets, like Bracca, were and are scrutinized endlessly to ensure they're in keeping with the rest of the world. It's a level of love and respect for a franchise that only a few video game series get from their developers, and it's something we see even less of in media in general. Just creating Cal took at least a year. On top of that, the production crew took pains to find someone enthusiastic about embodying the role and bringing the character to life in much the same way a film production crew would. One other little touch mentioned that makes me hopeful for the final product and other flairs of style it might hold is BD1. The crew worked with Ben Burtt, the main who created the original trilogy's soundscape, to get the sounds and feel just right for the droid companion. 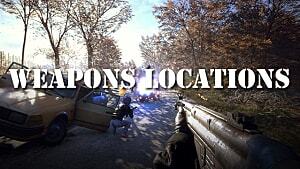 That detail shines through in the narrative trailer. Of course, it looks like a game trailer. However, if you move past the visuals, the storytelling, style, and structure are similar to what you'd see in a film trailer and isn't that far removed from the tone and style of Episode IX's trailer. What this all amounts to is a first for a video game and Star Wars in particular: an important chapter in a massive, beloved franchise being told through a game. EA might do a lot of things fans don't like, but it seems like this time, there's not much to worry about. 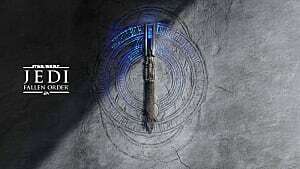 Apart from creating a game that's on par with film and television entries in the franchise, Fallen Order seems to be a thoughtful, well-crafted game in its own right. No, we haven't seen any gameplay yet. But there's an awful lot of devotion, time, respect, and effort being put into Fallen Order, and I, for one, am excited to see what comes next. If you haven't secured your copy yet, check out our Star Wars Jedi: Fallen Order pre-order guide here.